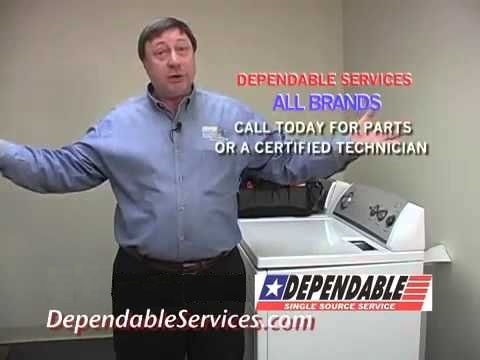 Dependable Appliance Repair is the oldest Appliance Repair in the Atlanta area and is the “go to” for residential and commercial appliance repair since 1970. That’s over 45 years! We are a locally owned family business. We repair all major appliances including: refrigerators, washers, dryers, dishwashers, ovens, freezer, garbage disposal & HVAC etc. Just give us a call at (770) 983-6615 or click the schedule now button above. We have 16 trucks staged around the Atlanta area that carry the most common parts to ensure fast service. From Atlanta we cover Brookhaven, Buckhead, Vinings, College Park, East Point, Forest Park, Atlantic Station, midtown & downtown. Our technicians are background checked, and drugs screened to help protect your family. They wear floor protectors and use protective mats to protect your home. Each technician is experienced and receives regular training to stay up to date on the latest changes in appliance repair. Each technician carries a tablet computer with access to specific calibration requirements and special parts availability. Our technicians are factory authorized and trained on many brands of appliance repairs. When you call a professional and friendly customer service representative will assist you to schedule an appointment for the fastest appliance repair possible. Dependable is the home of the “First-Time Fix” to help ensure we have the necessary special parts so it can be fixed on the first visit. Because of his experience and access to parts, the only thing stopping the special parts is having the correct make and model of the appliance as well as inaccurate assessment of the problem to be repaired. When the technician arrives, he will drive a marked Dependable truck and wear a Dependable uniform. He will troubleshoot the problem and quote you a flat-rate repair price before any repairs are made. All repairs are guaranteed no matter how many times he has to come back. However, he wants to fix it on the first visit just as much as you. We take all major credit cards and have military and senior citizen discounts. Again, just give us a call at (770) 983-6615 or schedule your appointment online just click the schedule now button above.